May We Have Our Tracks Back Please? Many thanks to those of you who responded to the request for captions to accompany the photograph of a crane on the railway line at Portgower that we published in the last FNE. 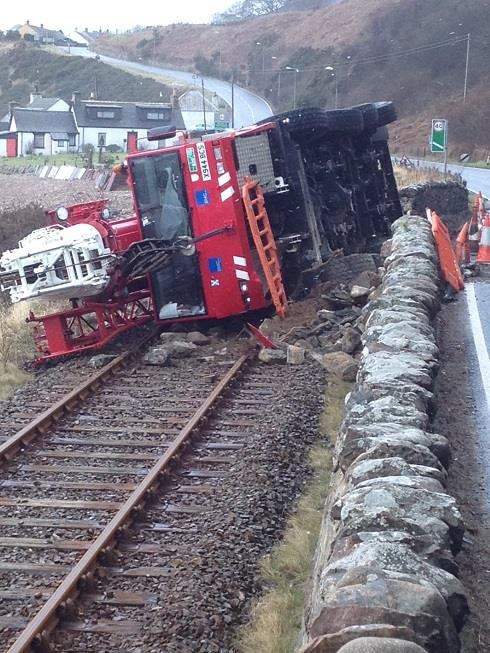 Next time you stick your neck out, please do not TAMPER with our tracks! "But the satnav said 'Bear left,' officer." Rumours are rife that George Michael has moved to Sutherland.